Yaki-Imo truck in the middle of Tokyo I think it was the second day we were in Tokyo, as we arrived in the evening near our friends place in Nippori, I heard the unmistakable song of the Yaki-Imo mobile unit selling the traditional grilled sweet potatoes in the street. What you see here is the modern version of an utmost-Japanese street vendor, and like I wrote it before, this trade is almost as old as the Japanese cities. As Japan is not living under the tyranny of norms, no Yaki-Imo truck looks the same, and actually there are still a few cycle or walk carts like there were in, say, the 1940s'. 70 years ago or more, a man or a woman would push a cart with a stove and sing at the same time a strange song saying in substance "come and buy my yaki imo" (means steamy hot), and just by hearing this plaintive litany, people would walk out of their house or business and by a couple of these hot sweet potatoes right from the wood stove on the cart. Nowadays although in declining numbers, you still come across these Yaki Imo vendors in the big cities, although more in their shitamachi part (old-style neighborhood), just that they work out of a small truck now, but still with a stove and a real fire, and the sweet potatoe is just as good. We saw this Yaki Imo in the same area but days later, but here the woman operating it hadn't put her music/song on (it's on tape nowadays). Our friend tried to convince her to put it on without telling her that I wanted to record it (I lost the file I made 4 years ago in Katsura, Kyoto), but for some reason she was reluctant, if I remember because her stuff was almost sold out. See this page on Yaki Imo, there's a video where you can see an actual Yaki Imo van doing its business. A dinner at Nippori Here was our casual dinner one of our first nights in Tokyo, at our friend's place in Nippori : sashimi tray, miso and several sake to celebrate the begin of this adventure. __The bottle in the middle with this milk-like liquid is unfiltered sake, called nigori zake in Japanese. 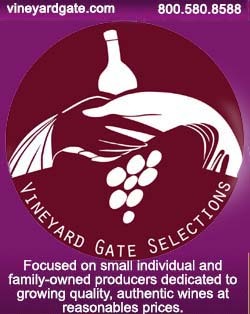 As you can read on this informative page by John Gauntner, nigori zake is the liquid fermented moromi which has been bottled without filtration. I am not a fan of this type of sake, to be frank, but I haven't tried many actually. __ The One-Cup container on the right is Junmai Ginjo sake, made with rice polished to 55¨% of its original size and without alcohol enhancing. Thee brewery (shuzo) is Koshi No Kanchuubai in the Niigata prefecture. Fine print on the label says it was made (bottled I guess) on 11-12-01 which with the Japanese date display means december 1st 2011. __ The last bottle on the left is like you probably guess an umeshu, or a plum liquor made by Nakano Shuzo. It's 14° strong, 100% plum alcohol (which is not always the case), unfiltered, no color agent, but had some alcohol adding. This brewery has quite a few umeshu bottlings as you can see on this page. This dinner was very casual, what I like in Japan is that at whatever hour you're walking back home, you can get pretty affordable and healthy food either in your konbini around the corner (Family Mart, Lawson, 7-eleven...) or in the food section of depatos (usually in the basement) as the latter often do rebates before closing. This is fast food and at the same time it's a treat without overweight risks for your diet. Before starting to eat, we pronounced the traditional Itadakimasu, which is akin to the blessing words Christians say before a meal. Here it means something like "I receive", meaning that you aknowledge that these things that you are going to eat will be part of you. Read the linked page for a more precise understanding of this word. The 3rd bottle above is a blend of two sakes, one basic and one daiginjo (2500 Yen - 720 ml). The last is an Umeshu, which is an alcohol made from the ume fruit, a typical Japanese plum fruit that you see hanging on otherwise-bare trees in the middle of winter (1890 Yen - 500 ml). So now I'll know what gift to bring if I want to respect the Japanese etiquette. Until now I've been bring goat cheese sourced in the deep backcountry of the Loire, but in the corner of my mind I wonder if it's always well received by our hosts, especially that the cheese have had time to change slightly their appearance since I bought them along the Cher valley... I also brought a few bottles from France, but not enough for all the people we met. Happily, B. who lived many years in Japan, knows what to do and she drew on her own gifts resources if necessary. Japanese crime scene Forget your image of Japan as a crime-free country. There are __a few__ crimes over there, although by French standards this looks like a dream come true. The unbelievable thing is that like in renowned wine-producing regions, there are occasional grape thefts in the vineyards..... Yes, if you believe this article in Japanese found on the news in 2011, some extremely nefacious individuals sneaked at night in a vineyard in Kurashiki, Okayama Prefecture, to steal baskets of quality grapes. My, Japan is falling apart... It was reported to occur in two instances, each time by a lone guy and thanks to high-tech body-heat sensors installed by the outraged owners, the daring lawless perpetrators were caught. One was an automobile plant worker and the other a jobless man, both being middle aged (58 and 54). The above picture featuring Muscat table grapes was shot in the Beaumes-de-Venise region (southern Rhone). Kirin ad Another picture of mine to make our French puritanist lobbies salivate at the thought of the juicy trials they could launch if this ad campaign was by chance taking place in France. Too bad, folks, it's in Japan, where you'll have a hard time finding judges biased enough to follow your twisted reasoning. Japan offers by many regards a breath of fresh air compared to the French ways : salarymen aren't ashamed of drinking a bit over the limit with colleagues, people smoke in the standing bars, you get plastic bags in the shops for your groceries, girls can wear miniskirts without getting gang-raped, to take a couple of examples I'm thinking to. This is when you travel a bit, like in Japan or in the USA, that you realize how things have gone beserk in France for many basic freedoms, beginning with the wine or beer advertising issue. I don't know if many people realize how much the gap is increasing in this regard, with an internalizing of the censorship by individuals and businesses. Like girls don't wear anymore short skirts in muslim neighborhoods, you see newspaper editors think twice before printing something about wine by fear of what it could cost them if the morality squad fell upon them. I know France still has many cool ways that would be a luxury elsewhere, but still, there has been some serious shrinking of daily-life freedoms for a few years. Wipping off 10 laws a day would be a blessing for this country, and one year or two of this diet would certainly bring a welcome rebound to the wineries and to the goat-cheese farms, to name what makes this website tick. Train lunch Here is what you can routinely eat on a Japanese train. As I wrote before, the Japanese, like Russians, aren't ashamed of bringing food on trains including fast Shinkansen trains. They relish in this tasty distraction and willingly buy sake or beer too for the occasion. I feel that in France either because of self-consciousness in front of what the other people could think, or because of the the shared obsession for personnal productivity (many French travellers "work" or at least act like in French fast trains), you almost never see travellers on long-distance trains indulge in a drink. Again, Japan is a big breath of fresh air in this regard. What is also amazing is the very affordable cost of this treat : we bought our food in the Osaka railway station before boarding our train, I don't remember what B. bought for her own lunch but mine (what you see here) cost if I remember about 1200 yen (11 € or 14 USD) : 750 Yen for the sashimi tray, 350 for the sake (of which I didn't note the name, I need to ask) and 110 for the onigiri, a stuffed triangle rice-ball that you can find everywhere and which is convenient when you're afraid to still be hungry. There's no way you can dream of such an affordable lunch bought in a French railway station. Again, who says that life is expensive in Japan ? You know how it turns out sometimes, you brought your booze on the train but not enough for your appetite, and my One-Cup being empty, I saw the food cart with grateful eyes. Yes, high-speed trains in Japan also have food & drink carts, which pass several times during the journey. See how smart it has been designed : narrow enough to let people pass (try to pass the cart in a plane !). Whatever, I asked for the cheapest sake available, it was served in a cardboard cup and cost only 300 Yen (2,7 € or 3,6 USD). This is again a very affordable booze, especially when you take into account the extreme civility of the cart waitress. this said, this sake which was probably poured from a bag-in-box was an industrial sake loaded with additives, I felt the symptoms almost physically, but there was at least another type of sake, a bottled one or a One-Cup, I don't remember, and at a price barely above. Urinal on wheels Again a sign that there's no room in Japan for the European political correctness : can you think to the screams of victimhood-lobby groups in France and Europe if a major railway company had urinals in train cars ? You'd have feminist groups, disabled-access watchers and certainly others aiming flak at the contrite rail company. Common sense reigns in Japan and as men are more likely to drink lots of stuff in the trains, and also because an urinal needs actually only very a small surface next to a regular toilet, they are standard feature on long-distance trains there. Of course to make things worse in the eyes of the norm-obsessed European regulators, none of these toilets (urinal or regular) is adapted for wheelchairs. No need to say that because of these norms, almost all public toilets and first of all the urinals have disappeared from the French cities and villages, giving way to many stinky and dirty sidewalks and dark corners. You access this train urinal through a folding door. Thanks to the urinal, you are less likely to find the regular toilet's seat splashed with urine, this is also common sense but this obvious logic was probably out of the reach of our lawmakers... See the cute tiny sink to rinse your hands. For those who want to experiment an immediate depression, I recommend the reading of this French detailed law on the requirements for public toilets. When you read that Kafkaian literature, you begin to grasp what's wrong in France. The mind-boggling thing is that we had bright-minds fonctionnaires probably spend months to lay down this prose and verify its measurements. I'm serious, someone out there should translate this thing in English to the last word, in order to help get visualize the mindset of these people, because the words and sentences they use are so desperately dull. Public toilets in Tokyo While I'm at it, let me show you another Japanese breach of the European political correctness which in France would have certainly the new puritans scream in unison, beginning with inflammatory articles in Libération and followed by a swift backtracking of the outrageous perpetrators stammering an apology : color code on public toilets, and the most despicable one that you can imagine in France : pink for women and blue for men. Oh my, this crime would certainly cost the architect or the designer their job in France. Thinking to the diverging ways the French and the Japanese see reality, I think that Japan is a country which is led by empirical pragmatism, I mean that they don't have an ideology or a political orthodoxy that seeks to force things upon the society from the outside, it's all slow transition from tradition to modernity, without bumps. And I like that. Another breath of fresh air. This said, I'm not a "partisan" of any particular color code, I'm a libertarian on many issues, just let people do it their way. A good sake/wine shop & bar in Kyoto Definitely a right place to go in Kyoto if you're looking for quality sake, quality wine (including natural wine) and other selected quality spirits. this Kyoto wine venue can be found in the middle of a pedestrian alley in the Fushimi district, which is an urban area in the southern tip of Kyoto with a high concentration of sake breweries. Actually Fushimi is one of Japan's major sake producing areas. This place is a family-owned business where you feel at ease to choose a bottle, be it sake or wine, or sit at the bar for a drink or two . That's incidently where you can check that women in japan are demanding wine amateurs and like enjoy a glass after work. That's heartening to see a place like that, with at the same time a soul and room for a relaxing drink, and for shoppers just stopping for a purchase, what looks like a rigorous selection centered on artisanship and quality. There were many sake bottles to choose from here and given the reputation of Fushimi as a sake area, I bet that most of this stuff was great, even if some was from out of the region. Speaking of the wine, there was lots of good stuff from what a rapid visual tour hinted, like for example this bottle of Clos des Grillons by Nicolas Renaud in the Rhone, a natural wine made by a neighbor and young friend of Eric Pfifferling. Fushimi-ku, Higashiōtechō, 7 8 0, Kyoto phone +81 75 601 0147 Sake-wine shop/bar website Location map of the wine shop/bar Google street view of the venue Pruning in Takadanobaba I certainly didn't expect to witness skilled workers prune trees along the major thoroughfare at Takadanobaba, a Tokyo neighborhood I was wandering through alone. I had precisely the intention to walk across Yoyogi, a big park in Tokyo in order to see these workers do their thing on trees, because there's a Japanese way of pruning trees that helps you understand their vision of gardens and nature. I had Yoyogi Park in mind because there are so many trees there that you have a good chance to stumble on a pruning squad in winter. And here I find them in the middle of a busy boulevard, I'm sure my good star knew I was looking for them and sent them in my path, with this background of signs in the far. Tree pruning, the Japanese way, has things in common with vineyard pruning, with the need to be precise and cut the right branches. While tree pruning under other latitudes is often a rough work where branches are cut bare undiscriminately in the shortest time possible, here at the opposite it is an utmost-Japanese Art where you feel the care and attention that people in this country devote to trees, plants and bushes. Thin, small branches are left while others are pruned, ending up in trees being trimmed but keep all the while the opportunity to grow a large volume of foliage when spring comes, a far cry from the painful stumps many trees are left with in France. Here again, I marvel at the empirical experience behind these modern pruning squads, who sometimes use simple ladders, sometimes motorized platform lifts, and who don't need to block the traffic when they're doing their job. A gem of a neighborhood restaurant This is a gem of a neighborhood restaurant managed by a man named Takeru Unki. This very small restaurant is located near Uguisudani along the Yamanote line between Nippori and Ueno (see Tokyo Metro map). This is by far not a neighborhood known for its restaurant, it's a plain regular district with a mix of businesses of which no particular type above the others. Our friend MaSo we went to Onkel Curry (this is the name of the restaurant) together, and it was a treat with an unclassifiable cuisine, I would say a mix between Japanese cuisine and diverse world styles and ingredients. Ingredients is the key, as Takeru-san is a lover of spices and rare herbs, by the way I forgot to take a picture of that but he has dozens of potted plants in front of the restaurant on the sidewalk, most of them being aromatic plants or sometimes vegetables like broccoli. Another allowance showing the relaxed, pragmatic mindset in Japan : I wouldn't imagine the city-administration street police in Paris leaving you quiet with dozens of plants lined along the sidewalk (especially that they were on the street side of the sidewalk). Of course the broccoli for example was not intended for the daily lunch but Takeru-san likes to make experiments and plant diverse plants so that he can use fresh lmeaves for such or such dish. Set apart the size of the business, I find here the commitment and passion for real products seen with Chef Alain Passard of L'Arpège who grows his own vegetables in a farm following the biodynamic method. What you can see on the picture above what what I ordered, it was something like the Plat du Jour if I remember, the lunch formula of the day, a delicious lunch for a bill of only 7500 Yen (6,87 € or 9 USD), there is no way I can find this quality at this price in Paris. And the fact is, we went to several such family restaurants in Tokyo with similar prices. This multi-dishes lunch was light and tasty, I'd eat there very often if I lived in the area, it doesn't make sense to eat home when you have this around the corner. If you click on the picture on right, you'll see the 1,8-liter sake bottles kept on the side : they're the bottles of regulars, this is something you find in many family restaurants in Japan, regulars can leave their unfinished bottle and they'll get it back the next time they come here. Isn't that a beautiful, cute tradition ?? The restaurant has only 5 tables, it's a bit messy but with a warm atmosphere, many sketches on the wall as well as music instruments, I think the owner is some kind of musician too. On a wall there are a couple of very old maps of the shitamashi area around Nippori, as he became sort of an expert in comparing the modern lanes and small street of the neighborhood with the documented lanes centuries ago (it seems that many small street remained in place actually). Onkel Curry Taito-Ku Negishi 2-20-10 Nippori or Uigisudani station Location map Google street view (green doormat) Webpage about Onkel Curry (made by a friend and fan of the venue) Sampling the trend on soft drinks A trip in tokyo could be centered on the sole subject of soft drinks and vending machines, as the "taste" landscape in this field is changing all the time and as the drink industry is putting on the market all sort of new fancy drinks, sometimes just to test the consumer mood like it's common for other products in this country, inculding with high technology. Vending machines are ubiquitous in the urban landscape, they're shining in the dark corners and along parking lots, offering comfort to bypassers in summer as well as winter as they offer cold as well as hot drinks. Plus, they're never vandalized and always in working condition. This time I tried a few of these drinks from these jidohanbaiki (vending machines), trying to avoid the most weird, extreme flavors among the offered range, although I'm aware the color is not always a reliable indicator in this regard. I had a few good suprises, in the sense of refreshing drinks with not too much sugar. But being a die-hard conservative, I tended to come back to my favorite sof drink in Japan : Pocari Sweat, a refreshing, naturally-energetic drink with no or little sugar. You can find this soft drink under all sort of bottlings and forms, including in powder. Powder is very practical to stock several months of Pocari Sweat in your home country. Note again the affordability of soft drinks in Japan and in the matter, in Tokyo, as many of these bottles found in these jidohanbaiki cost only 110 Yen (1 € or 1,3 USD). Some of these vending machines are equipped with free wifi, and you can check you emails by standing in the near distance. I love Japan... Coffee in a vending machine Coffee is probably the hot soft drink now in Japan, I mean it's really the trendy drink with all sort of styles, plus vending machines provide you with both hot or cold coffee depending of your taste or mood. Drinking coffee in a can is probably a cultural challenge that many Westerners must overcome first. But once you can do it, you will explore the unlimited world of fancy coffee. I didn't try any for a reason : apart from my morning coffee, I don't drink coffee during the day because even if I'd drink one at noon there's a good chance (I know that by experience) that I'll have trouble getting asleep before 3am. Here is by the way the list of CitiBank ATMs in Japan with precise maps.